A couple of days ago I shared the pattern for my little spring chick and in one of the pictures there was a sneak peek of todays project. 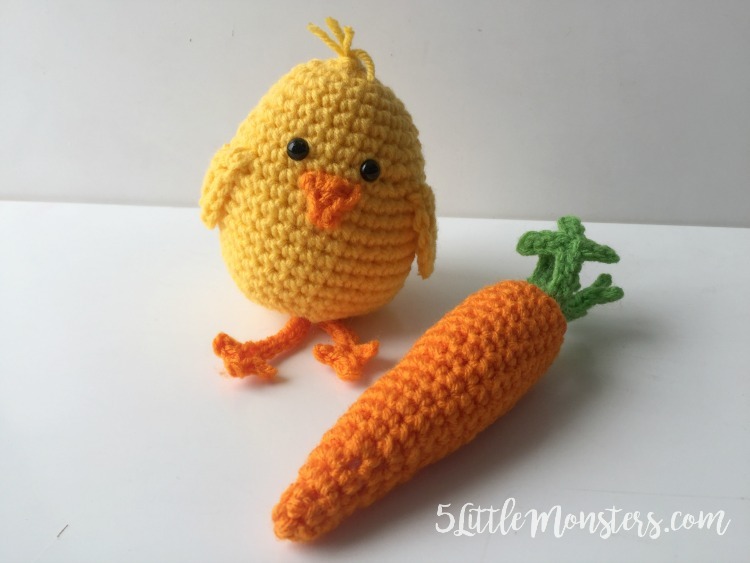 I was wanting to make some springy crochet projects ans with Easter and spring one of the things that I always think of is carrots. 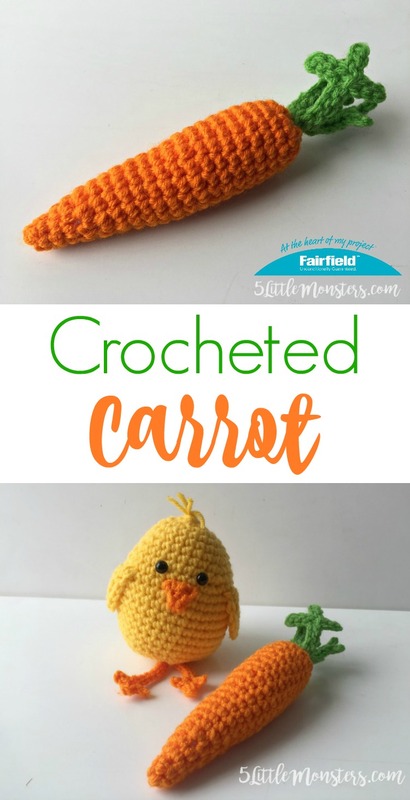 I thought a little crocheted carrot would be cute with a little stuffed bunny or even just tied in a bundle or put in a basket as spring/Easter decor. 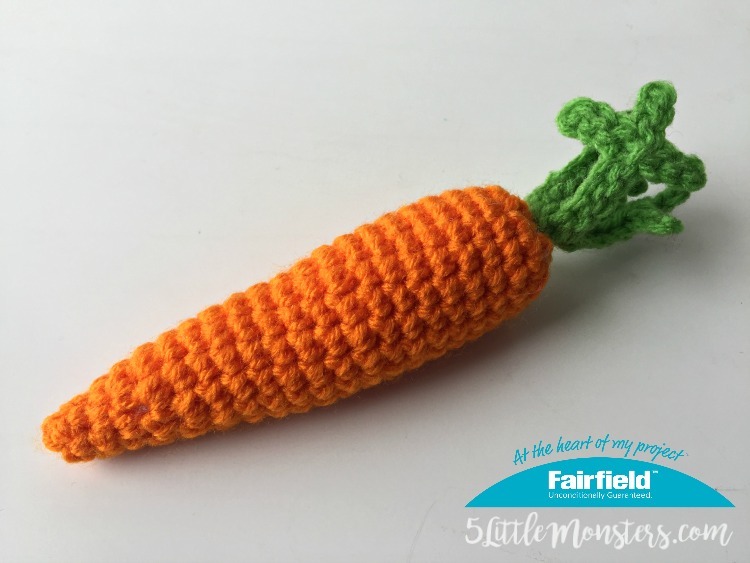 This little carrot is a really quick project and doesn't use a lot of yarn so if you have any scraps of orange and green left over from other projects this is a great way to use them. The pattern is available for free on the Fairfield World site.